This is a Du-Bro 16 oz Fuel Tank. Du-Bro fuel tanks are designed with toughness in mind! With that said, this fuel tank will not split or crack from vibration or pressure. In fact, this fuel tank can be used with pressurized fuel systems! Du-Bro fuel tanks come complete with all of the hardware including their one piece clunk with fuel barbs built right on the clunk stem, your fuel tubing will not slide off! 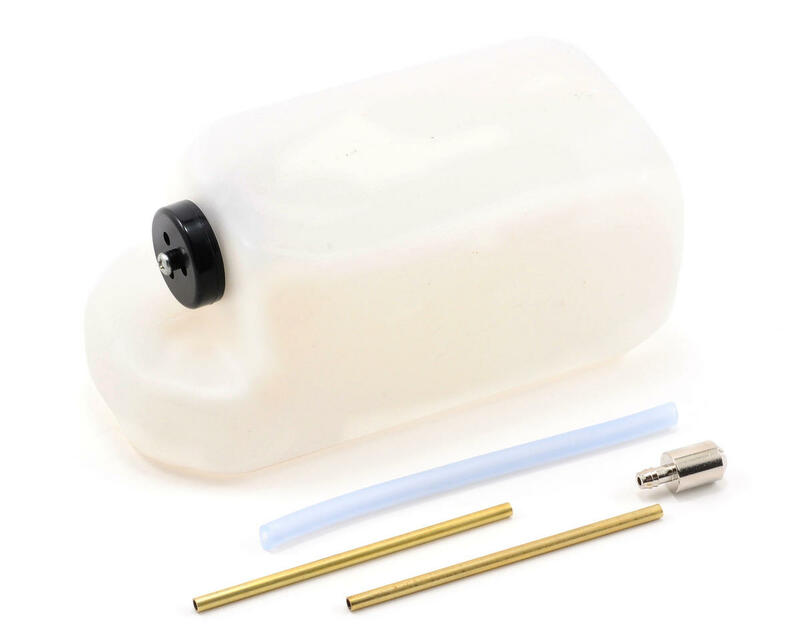 Du-Bro fuel tanks can be used with either glofuel or gasoline if you purchase their DUB400 Gasoline Conversion Stopper. 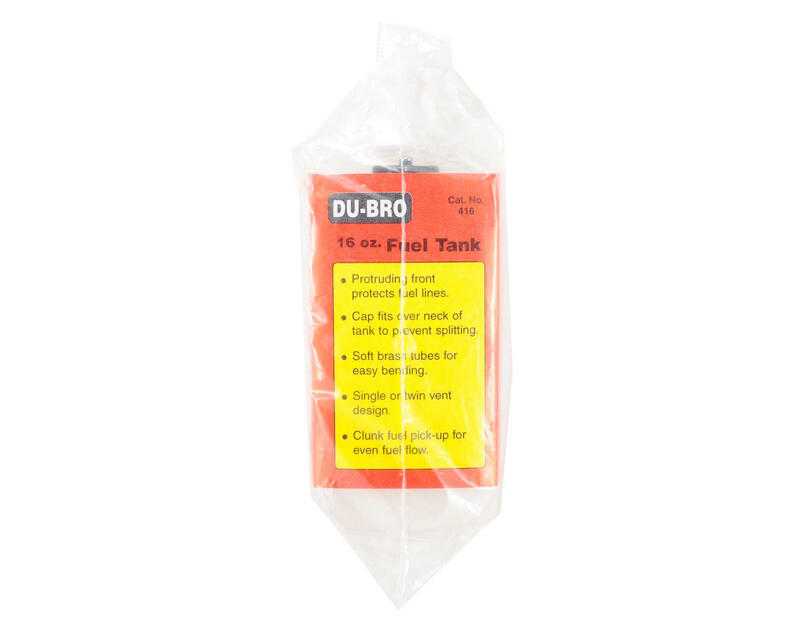 Next time you build a model, choose a Du-Bro fuel tank.